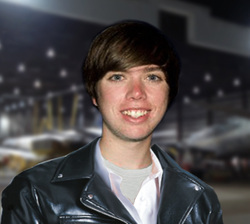 Will Tucker is a pilot on the Learjet 31a and 55 at AB Jets, an active Memphis musician, and graduate of Embry-Riddle Aeronautical University. He has loved aviation and transport jet aircraft since the day he was born. Will is the lead builder, designer, and developer at The 727 Legacy Project. 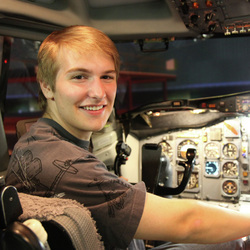 Will is available to provide flight simulator maintenance on all levels of simulators in the Mid-South. If you are looking for a local flight simulator repair/maintenance solution, please contact via email below. Hank Williford is a pilot on the C208 at Southern Airways Express. He holds a Commercial Pilots License, Instrument Rating, and Single and Multi-Engine ratings in addition to a Bachelor of Science in Aeronautics from Embry-Riddle Aeronautical University. Hank's lifelong experience in aviation is a strong asset to the 727 Experience. Hank is an assistant builder, designer, and developer at The 727 Legacy Project. Jon Reiland is a graduate of Virginia Tech University and an extremely knowledgeable aviation enthusiast. A vast knowledge of computer science combined with experience in aviation makes Jon a great asset to the team. He earned his Private Pilots License in 2017 and continues to fly regularly. Jon is an assistant builder, designer, and developer at The 727 Legacy Project.